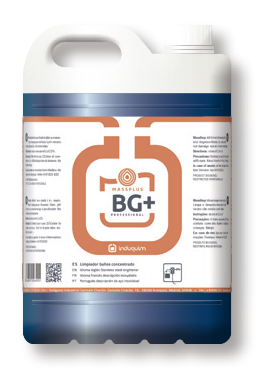 Induquim has a wide range of “Ready to use” high quality products to clean and disinfect all the areas in a hotel. For the economy of scale processes, Induquim has developed the Massplus® concentrated range, studied to be the best alternative, both economically and ecologically, within the solutions that the professional cleaning and hygiene market offers for Housekeeping. The use of concentrated products exponentially reduces the different logistics costs and substantially lowers carbon emissions. Moreover, the correct dosage of concentrated products with a precise and professional dilution system achieves direct profits in the cleaning process and in sustainable consumption.